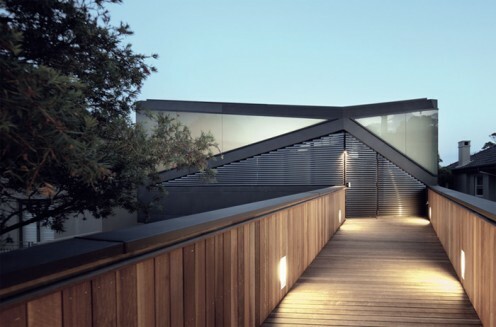 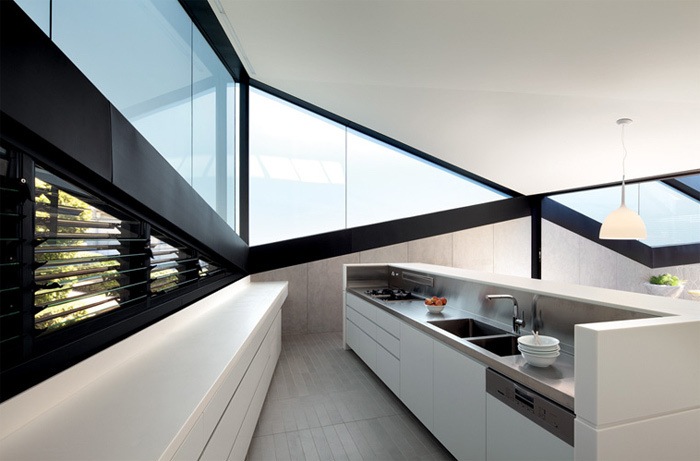 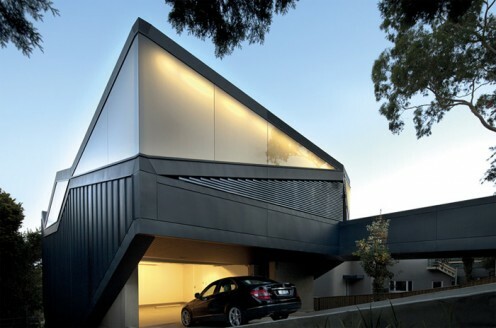 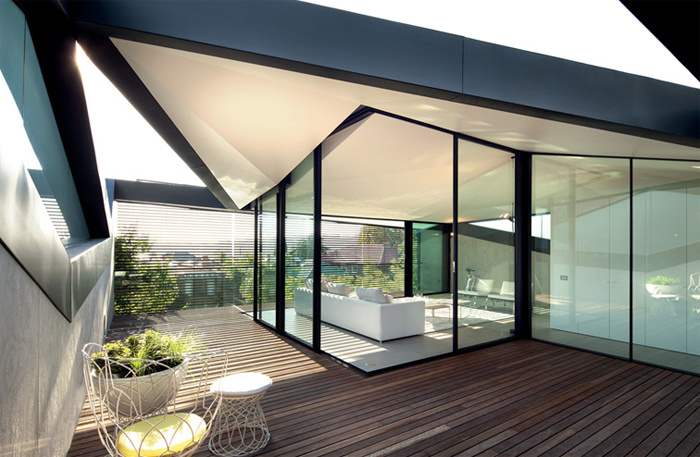 Australian architects Chenchow Little Architects have created this beautiful house, called Pitched Roof House. This unusual home has interesting geometrical forms. 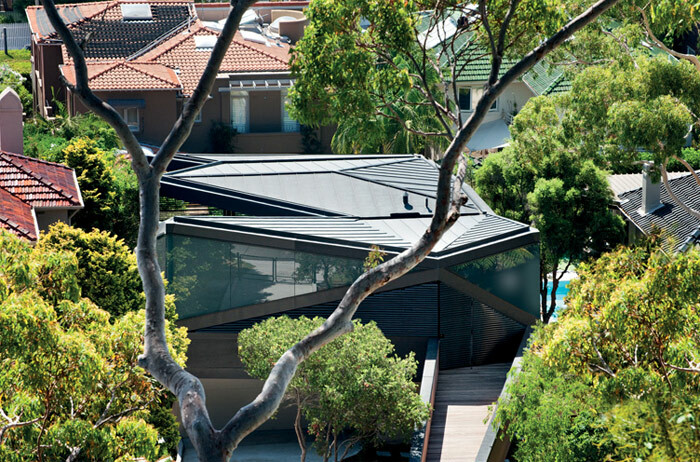 The facade consists of black slates, eclipse windows and “pitched” roof, which gives very contemporary look of the building. Surrounded by traditional suburban homes, this house is the only modern building in the area. 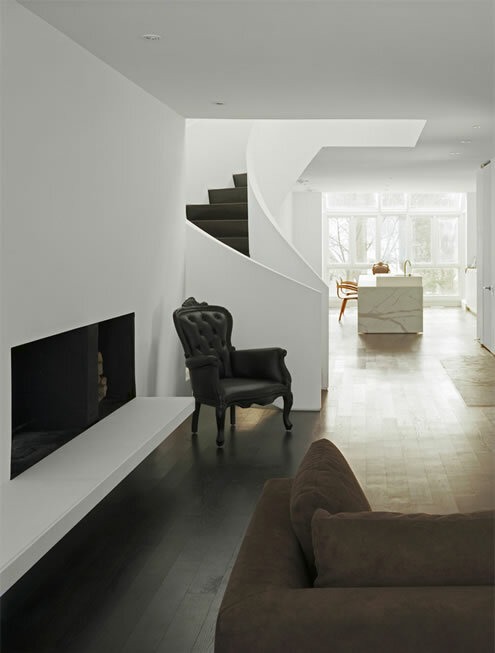 Inside, the house has clear appearance. 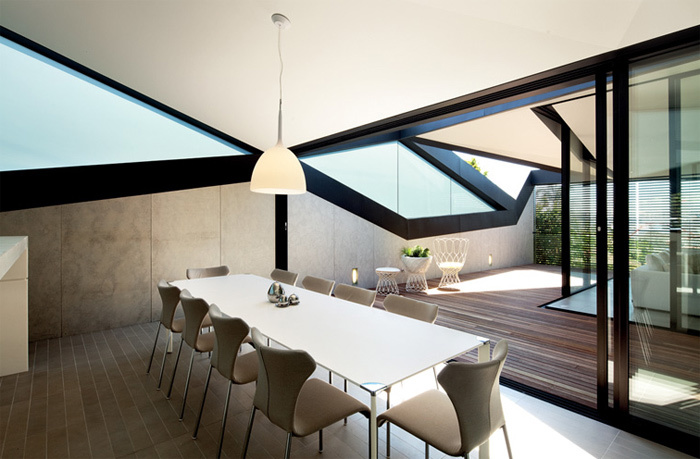 The walls and the furniture are white. 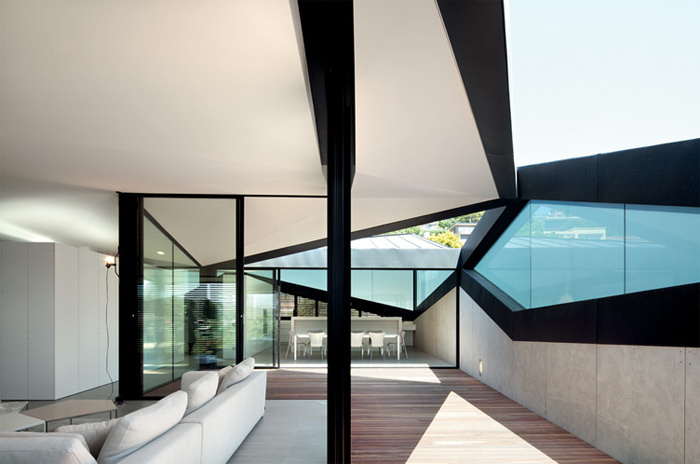 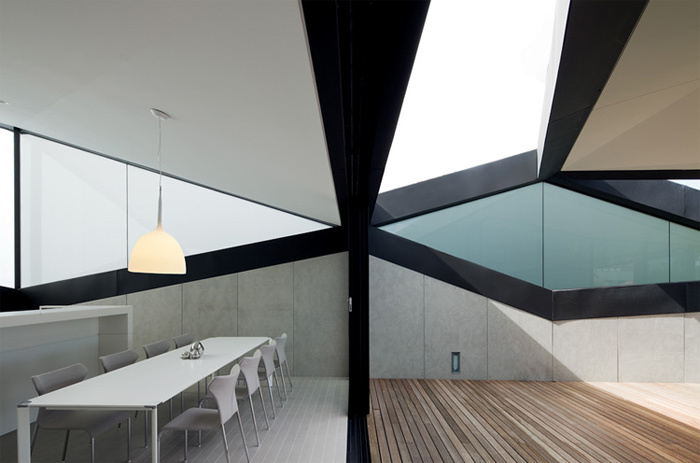 The irregular lines of the roof and the windows in triangular shape, bring a touch of artistry. 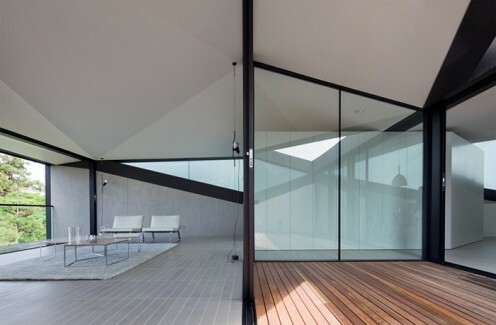 Indeed, this is a wonderful house for people with creative spirits or for people who simply appreciate the modern architecture.